FIDGET SPINNER has gained a lot of attention and is likely to be apart of YouTube 2017 rewind. Well if you haven't bought one don't worry Google has come up with a clever new trick in its search. 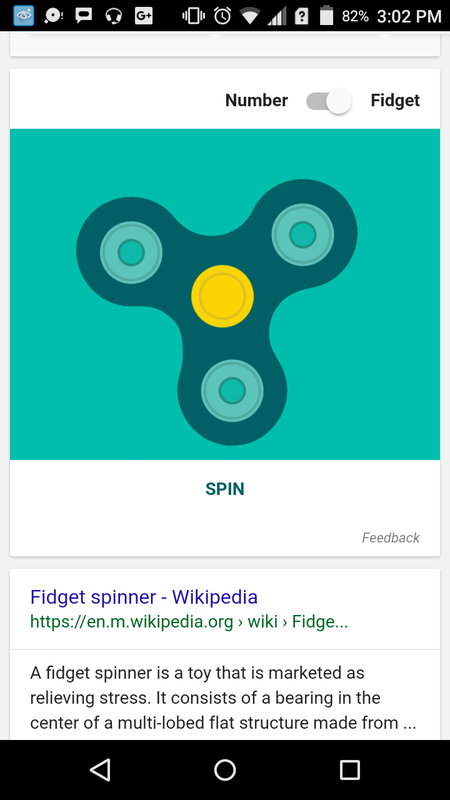 You can spin fidget spinner in Google by searching SPINNER in Google. The search will show fishy spinner. 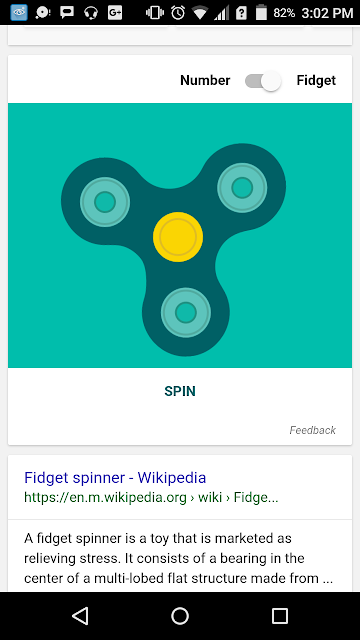 You can either spin it using finger or the button which says SPIN and literally the motion Google has added is good. The fidgt spinner sound for quite a while and you can even try just the spinner with numbers. Try it.